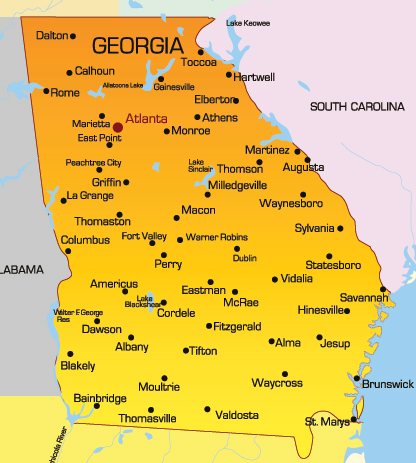 Council Members serve many areas in Georgia. Click on the area links below, the map to the left, or scroll down to find help. We can provide you contact with various elder care services in the Atlanta Northwest Area. Although this area is temporarily without a member to assist you we can still help you solve any concerns or problems you may have. Please contact the Georgia Care Planning Council by clicking on the link below. We can provide you contact with various elder care services in the Atlanta Northeast / Athens Area. Although this area is temporarily without a member to assist you we can still help you solve any concerns or problems you may have. Please contact the Georgia Care Planning Council by clicking on the link below. We can provide you contact with various elder care services in the Atlanta Southwest Area. Although this area is temporarily without a member to assist you we can still help you solve any concerns or problems you may have. Please contact the Georgia Care Planning Council by clicking on the link below. We can provide you contact with various elder care services in the Atlanta Southeast Area. Although this area is temporarily without a member to assist you we can still help you solve any concerns or problems you may have. Please contact the Georgia Care Planning Council by clicking on the link below. We can provide you contact with various elder care services in the Columbus Area. Although this area is temporarily without a member to assist you we can still help you solve any concerns or problems you may have. Please contact the Georgia Care Planning Council by clicking on the link below. We can provide you contact with various elder care services in the Macon Area. Although this area is temporarily without a member to assist you we can still help you solve any concerns or problems you may have. Please contact the Georgia Care Planning Council by clicking on the link below. We can provide you contact with various elder care services in the Augusta Area. Although this area is temporarily without a member to assist you we can still help you solve any concerns or problems you may have. Please contact the Georgia Care Planning Council by clicking on the link below. We can provide you contact with various elder care services in the Savannah Area. Although this area is temporarily without a member to assist you we can still help you solve any concerns or problems you may have. Please contact the Georgia Care Planning Council by clicking on the link below. We can provide you contact with various elder care services in Southern Georgia. Although this area is temporarily without a member to assist you we can still help you solve any concerns or problems you may have. Please contact the Georgia Care Planning Council by clicking on the link below.